Beautiful mountain home in Southwest Colorado, a popular tourist destination. sits on 5 acre lot with lots of privacy. Close to Oudray, Colorado (little Switzerland) with hot springs pools. Clost to Ridgway State Park with boating, fishing, hiking etc. We have deck overlooking one of the most photographed mountain ranges in Colorado. Master has ensuites, and two additional bedrooms. 42" HD television, work out room, spa on deck with bbq area. Located in beautiful tourist area in Colorado. 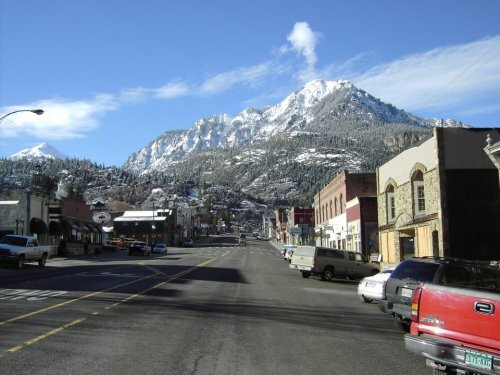 Google Ouray Colorado, Telluride, Colorado and Ridgway, Colorado. July is a wonderful time to visit! We are a retired couple that is looking for an exchange. Our daughter and son in law live in Thornbury and are expecting their first child in June. We want to be close to help them.